Although we are aware of the health risks associated with obesity, approximately 78 million adults and 13 million children under the age of 17 are overweight. We are a country obsessed with losing weight. But what happens when diets, meal plans, exercise, and personalized therapies do not make a big difference? For many, the answer is simple: bariatric surgery. But what exactly is Bariatric Surgery? 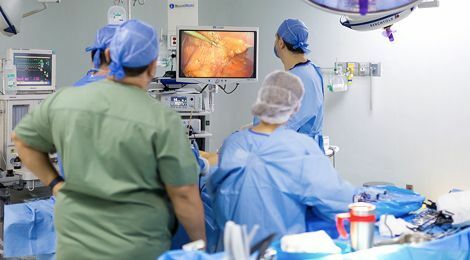 It is a general term used to describe a surgical procedure that helps obese people lose weight by altering their digestive systems in some way. If you are severely obese and have diabetes or any other medical condition related to obesity, you may be an eligible candidate for weight loss surgery. There are four types of bariatric surgery, but only three are the most commonly used worldwide. These include: gastric band, gastric sleeve, and gastric bypass. Most of the time, these procedures are performed laparoscopically, minimizing scars and reducing recovery times. Weight-loss surgery or bariatric surgery is medically advised when a person’s body mass index (BMI) is more than 40, without any alarming health conditions. Alternatively, this surgery is recommended when the BMI is greater than 35 and is accompanied by diabetes, high blood pressure, high cholesterol, or obstructive sleep apnea. Undergoing any type of surgery has its risks and benefits, and bariatric surgeries are no exception. Even these days, undergoing this type of procedures continues to cause controversy. Weight Loss: The main benefit of these surgeries is easy to understand – weight loss. Gastric bypass surgery causes an average loss of approximately two thirds of a person’s excess weight. The gastric band surgery loss’ is lower, around 50% of a person’s excess weight. Better Quality of Life: Around 95% of Americans who underwent bariatric surgery, reported a better quality of daily life. Some studies also suggest that people live longer compared to those who were equally obese and did not go through this procedure. Depression: Researchers at Yale University conducted a study that reported that 13% of post-bariatric surgery patients experienced an increase in the Beck Depression Inventory- a numerical rating that measures the severity of depression, eating disorders, self-esteem, and social functioning. It is recommended to evaluate this behavior and its associated symptoms after the first six to twelve months after surgery. Excess Skin: In some cases, weight loss after surgery may be gradual enough for the body and skin to adjust slowly. But in the other hand, many patients have excess skin that needs to be removed with cosmetic surgery. No More Soft Drinks: Carbonated sugary drinks are completely forbidden. When they are consumed, air gets into the abdomen and forms gases that can exert pressure on the stomach and can cause it to expand unnecessarily, undoing the results of the surgery.